“The scope of work often includes upgrades to the public areas and guest cabins, as well as stabilizer maintenance in addition to the more standard machinery and hull treatment work,” said Dr. Ralph Petersen, managing director of Blohm+Voss. 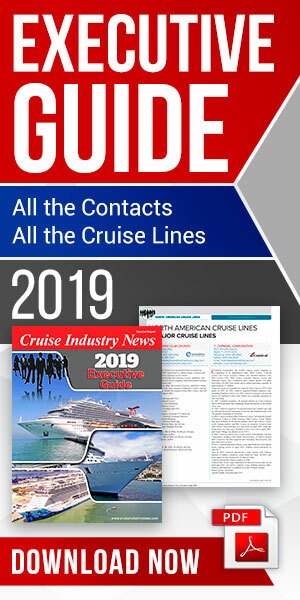 Petersen was tight-lipped on potential projects in 2019, noting the bookings were not yet official, according to the 2019 Drydocking and Refurbishment Report by Cruise Industry News. Blohm+Voss has traditionally been among the go-to drydocks in Northern Europe for cruise jobs, located in Hamburg near a wide network of suppliers and contractors. "Most of our clients plan anywhere between at least half a year to two years in advance,” Petersen said. Typical refit periods last one to two weeks, and the trend is spending as little time at the yard as possible. Investments are coming thanks to parent company Luerssen, Petersen added.